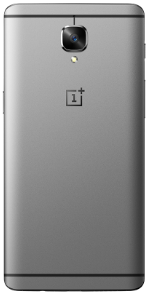 The OnePlus 3 comes with a 5.5-inch AMOLED display panel with a resolution of 1080x1920 and 401ppi density. Powering the device from within is a Quad-Core 2.2GHz Qualcomm Snapdragon 820 processor with 6GB of RAM and the Adreno 530 GPU and 64GB internal storage. Camera-wise, the phone is equipped with a 16MP rear-facing camera with 4K video recording and an 8MP front-facing camera. The OnePlus 3 packs in a non-removable Li-Ion 3,000 mAh battery. Upon release, the phone runs on the latest Android 6.0 Marshmallow OS with Oxygen UI. Color options include Gray, Black and Gold. Is the OnePlus 3 a flagship killer? Well, that's debatable. Best Tech of June 2016! A collection of some of our favorite tech to hit store shelves in June 2016. OnePlus is back with a new 'flagship killer' smartphone. OnePlus 3 vs OnePlus 3T: What's the difference? 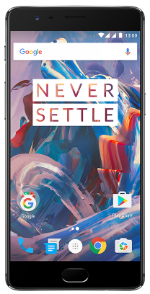 Less than six months after the launch of the OnePlus 3, OnePlus launched its successor, the OnePlus 3T.